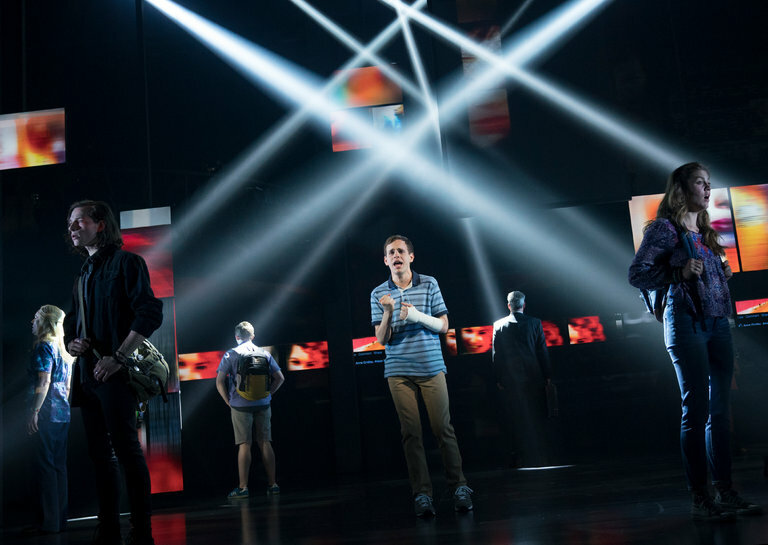 Dear Evan Hansen Nominated for Drama League Award! Breaking: DEAR EVAN HANSEN, GREAT COMET & More Earn Drama League Awards Nominations; Check Out the Full List! The Drama League has announced the 2017 Drama League Awards Nominees for Outstanding Play, Outstanding Revival of a Play, Outstanding Musical, Outstanding Revival of a Musical, and the much-coveted Distinguished Performance Award. Scroll down for the full list of nominees! The nominations were announced this morning at a ceremony hosted by Tony Award winners Patina Miller and Bebe Neuwirth at Sardi’s Restaurant, which were streamed live online at BroadwayWorld. The nominations announcement begins the month of celebrations leading up to the 83rd Annual Drama League Awards, which will be held at the Marriott Marquis Times Square (1535 Broadway) on Friday, May 19, 2017. The Nominee Announcement featured The Drama League’s proud Lead Season Sponsor, Resolution Life, the Host Sponsor of the 2017 Drama League Awards; Delta Air Lines, the Official Air Line of The Drama League; and M.A.C. Cosmetics, the Official Make-Up Partner of The Drama League. The 2017 Drama League Awards Chairpersons are Bonnie Comley and Jano Herbosch. The Drama League previously announced its 2017 Special Recognition Honorees: the legendary Bette Midler will receive the Distinguished Achievement in Musical Theater Award; Bill Berloni will receive the Unique Contribution to the Theater Award for his work in animal training for Broadway; and Michael Greif, represented on Broadway this season with both Dear Evan Hansen and War Paint, will receive the Founders Award for Excellence in Directing. First awarded in 1922 and formalized in 1935, The Drama League Awards are the oldest theatrical honors in America. They are the only major theater awards chosen by a cross-section of the theatre community – specifically, by the industry professionals, producers, artists, audiences, and critics who are Drama League members nationwide. Membership is open to everyone; for more information about membership or the Drama League Awards, call (212) 244-9494 or visit www.dramaleague.org.